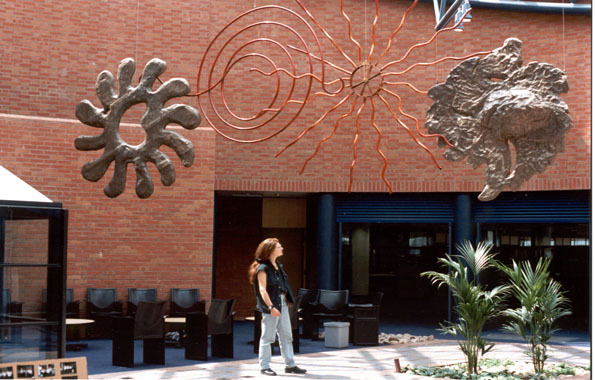 This was the first major sculpture I made after winning a competition as an undergraduate at the art school in Hull. 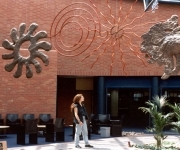 A 20ft sculpture hanging in Kimberly Clark’s main atrium. 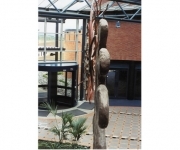 The sculpture was based on four different interpretations of the sun and linked to artefacts that related to the archaeological findings from the Roman farmstead that stood on the ground where the factory is.